Happy Earth Day from all of us at The Container Store! Earth Day really is about so much more than just doing our part today. It serves as a reminder that we can, and should, be able to make small, permanent changes in our everyday lives to help protect and grow this beautiful Earth that we get to live in! 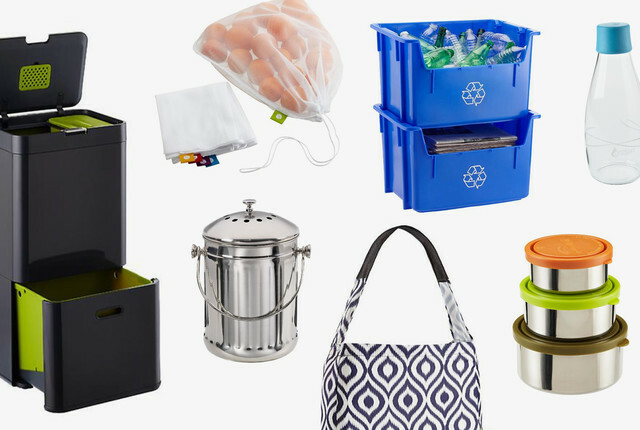 And our team at The Container Store has just made these small changes a little easier for you to make with a collection of 5-Star customer rated and approved products that also do their part in being very earth-friendly. You'll find trashcans that double as a recycle bin with a built-in composter, reusable produce bags that make that trip to the grocery store very green, water bottles that put the style in sustainable and so much more in-store and online. All loved by our eco-conscious customers and soon to be loved by you! Check them out below and make the promise to yourself to do what you can this year to keep Earth day going all year long!